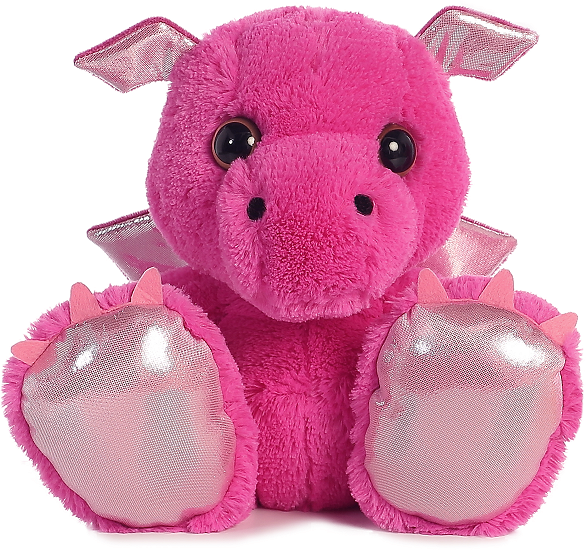 Meet Pinkster, this adorable stuffed dragon from the cute and cuddly Taddle Toes collection. 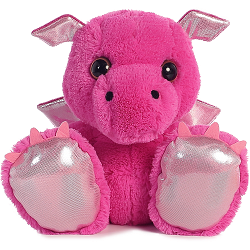 This plush dragon has awesome oversized feet complete with fun pink felt claws, a wonderfully huggable body, and warm golden eyes in a sweet face. 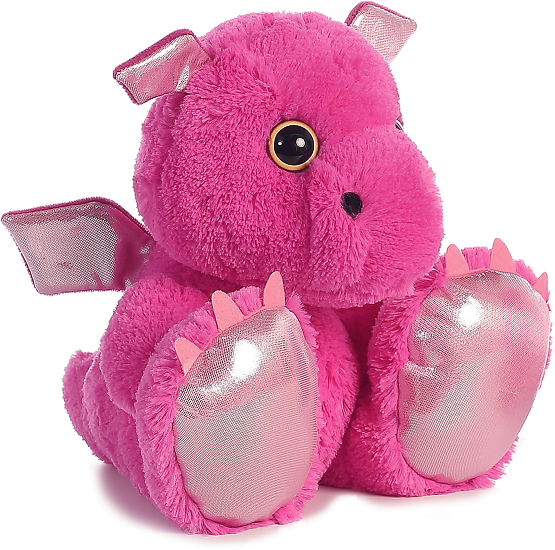 With soft hot pink fur, shiny pink accents, including inner ears and feet bottoms, and floppy little wings with shiny pink on one side and velvety dark pink on the other, you'll love taking this delightful dragon stuffed animal on all of your imaginative adventures.